Doctors have been using Ritalin (also called methylphenidate) since the mid-1950’s to treat a variety of conditions which include depression, fatigue syndrome, and narcolepsy. 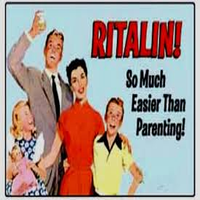 Ritalin gained FDA approval for treatment of hyperactivity in children in 1961. Ritalin is the most commonly prescribed medication for ADHD (attention deficit hyperactivity disorder). This treatment has helped thousands of people control their symptoms. However, because Ritalin is a stimulant like cocaine, it may cause undesirable changes in the brain over time. It also has the potential for abuse, and because it is a legal prescription drug, many people wrongly assume that it is not dangerous or addictive. So what are the benefits of Ritalin, and what are the risks? At the moment, the drug is currently prescribed to approximately six million people in the USA. 75% of these are children, with boys receiving the drug about four times more often than girls. Misdiagnosis of ADHD is a common problem that complicates the Ritalin controversy and many say that it is now over-prescribed. Recent studies suggest that children who are mistakenly diagnosed with ADHD and treated with Ritalin may be more likely to develop depression as adults. This can be explained by its effects on the reward pathway. Ritalin increases dopamine levels in the brain but an unnecessary increase in dopamine during childhood may change how the brain develops. The brain may become desensitized to natural rewards like food, romance, and social interactions, leading to depression. People with ADHD have difficulty concentrating, and they can be hyperactive or impulsive. Dopamine helps people control their behaviour, so having the right level of dopamine in the brain is important. Ritalin increases dopamine levels, helping those with ADHD to focus, filter out distractions, and make decisions based on reason rather than emotion. It is not considered addictive when prescribed by doctors and taken as directed. However, it is quickly becoming a drug of choice for teens, to such an extent that the popular street name is “Kiddie Cocaine”, amongst others. It is relatively cheap and accessible, and is perceived to be safe because it is a prescription drug. It is when Ritalin is abused by being taken in high doses, or used improperly by injecting or snorting, that it can then be just as addictive as cocaine. 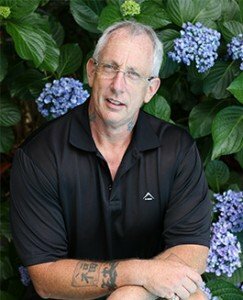 This is mainly due to the fact that drug delivery methods can influence the addictive potential of a drug. Ritalin and cocaine have a similar chemical structure, and both increase dopamine levels in the brain. They do this by blocking a dopamine transporter protein, which normally takes up dopamine from the synapse. In fact, they even compete for the same binding sites on neurons. Like cocaine, Ritalin is a powerful stimulant that increases alertness and productivity. Research shows that 10-30% of cocaine addicts have ADHD. 30-50% of adolescents in drug treatment centres report abusing Ritalin. ADHD children are typically taken off of Ritalin when they reach adulthood. Interestingly, these individuals seem to be more prone to cocaine addiction. Why is that? Because Ritalin and cocaine are similar drugs, it’s possible that ADHD adults are unknowingly using cocaine as a replacement for Ritalin. Simply stated, it may be an attempt to self-medicate. Cocaine may help individuals with ADHD to focus and feel calm and in control. Even when Ritalin is used as a prescription drug, it may have severe effects including nervousness, insomnia, anorexia, loss of appetite, pulse changes, heart problems and weight loss. The manufacturer says it is a drug of dependency. In June 2005, the US Food and Drug Administration issued a series of public health advisories warning that Ritalin and drugs like it may cause visual hallucinations, suicidal thoughts and psychotic behaviour, as well as aggression or violent behaviour. Whilst the majority of research has been carried out in the USA, parents the world over would do well to educate themselves about the dangers of this prescription drug. It is not the cure-all it is purported to be. In trying to treat a disorder during childhood, Ritalin may very well prove to be the gateway to addiction and drug abuse as an adult. This entry was posted in news and tagged ADHD, cocaine, depression treatment center, drugs, dual diagnosis treatment for depression, Enabling, mental disorders, pill addiction, prescription drug addiction, ritalin, South Africa Rehab. Bookmark the permalink.